Tiburcio says that word of his house started to get around his hometown of Bonao, and visitors would stop by at all hours of the day – even when the family was having lunch – because they thought it was a public museum. BONAO, DOMINICAN REPUBLIC – The Dominican Republic has so much to offer visitors – from pristine sandy beaches to hikes through lush tropical forests to the remains of the first European settlement in the Americas. But in the maze-like streets of the town of Bonao, about 50 miles north of the capital of Santo Domingo, sits a gem like no other. Driving through the small streets leading up to the house, visitors can’t suspect what awaits them, and that is the shock and impact that homeowners, artist Cristian Tiburcio and wife Lizbert de Tiburcio, are hoping for. It stands out from other homes thanks to the sculptures adorning the fence and the mosaic tiles that cover the house’s façade. The front door is an intricate metal sculpture with eyes and hands and faces as its main subject matter. It then evolved so that today every space in the house is a piece of art – “the blender, the kitchen, the toilet, the bed – everything in it that is normal in a house is now art,” Tiburcio said. It was a project that he started 20 years ago and is still ongoing. 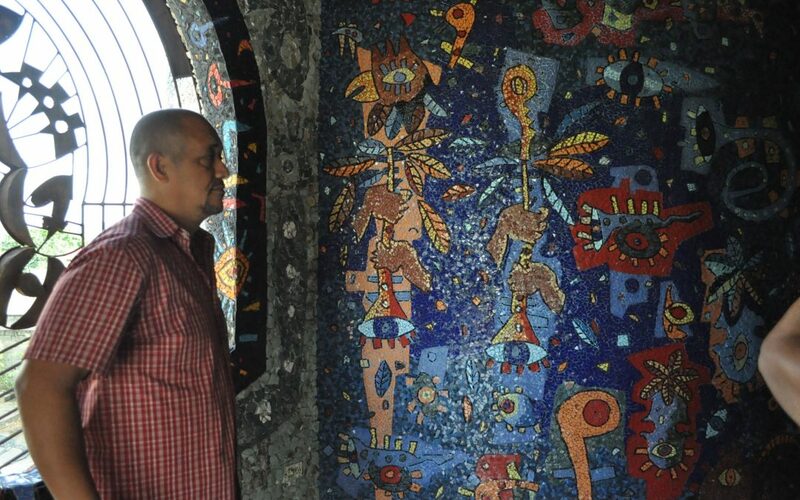 Tiburcio, who apprenticed with the Dominican painter Candido Bido, said word started to get around about his house, and visitors would stop at all hours of the day – even when the family was having lunch – because they thought it was a public museum. Tiburcio, 48, began painting when he was around 5 years old, drawing on everything including the tests his mother as a teacher would give him and other students. He moved on to sculpture, working with metal, wood and ceramic – which is now showcased in every inch of the eccentrically beautiful house. Tiburcio’s wife, Lizbert, told FNL that she knew what she was getting into when she married an artist but never really thought their house would become a 20-year art project. 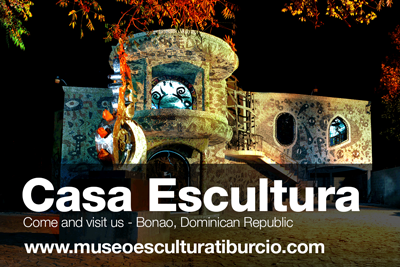 The family now lives in an apartment in town and the casa-museo has now been named a Bonao heritage site. Tiburcio hopes to use the proceeds to provide studio space and to help other artists to create art for years to come.